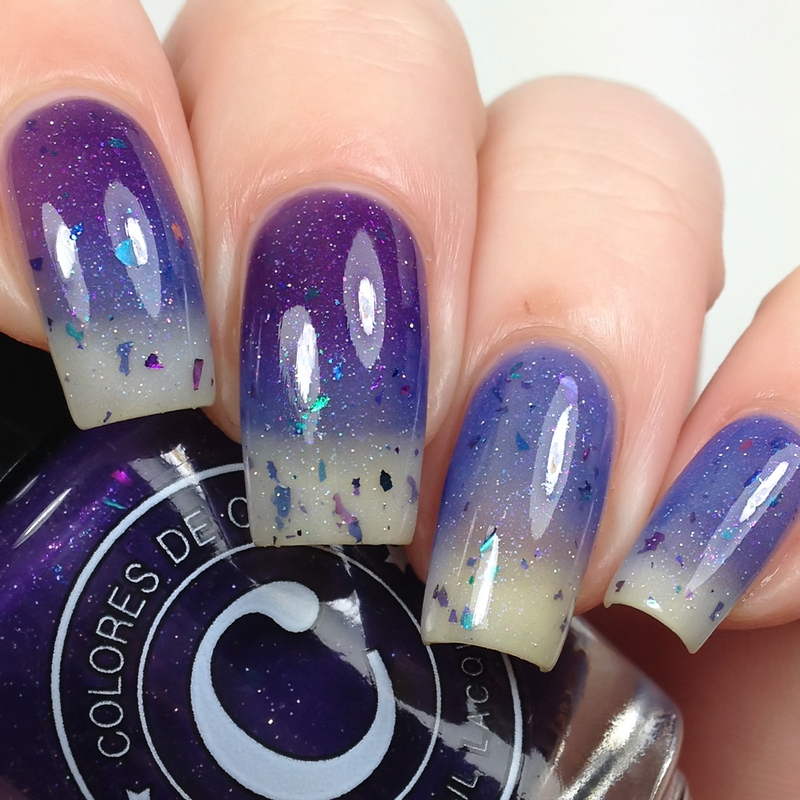 Good evening! 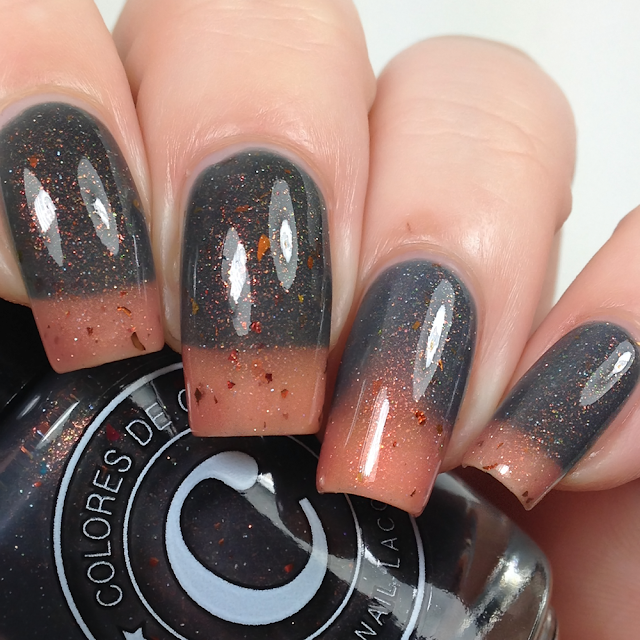 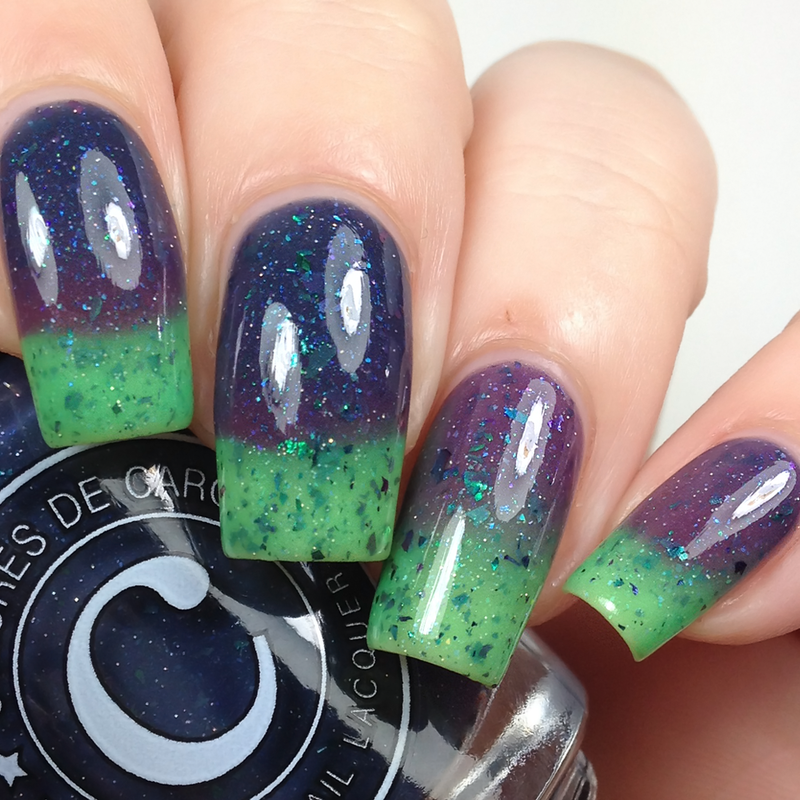 I have some Colores de Carol polishes to share with you today! 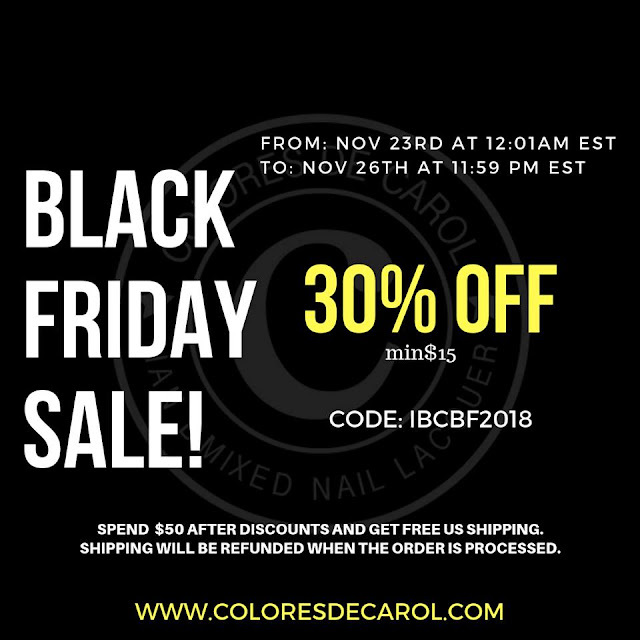 Read on for more info! 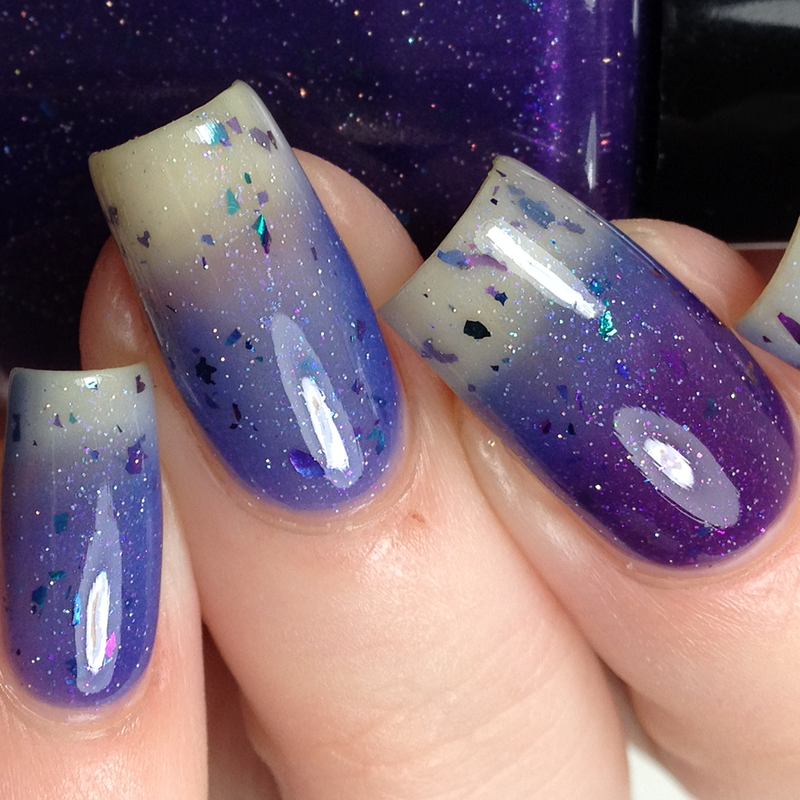 Described as a mix of white and silver holographic glitters in a clear base. 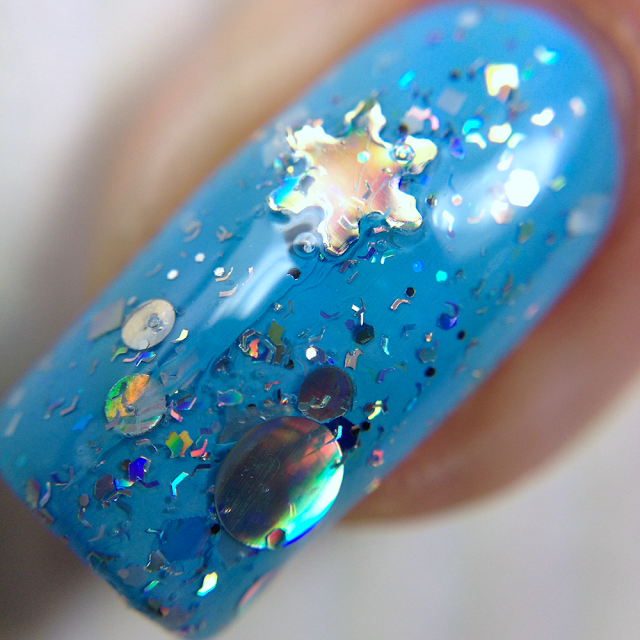 Shown here in 1 coat over a blue plus top coat. 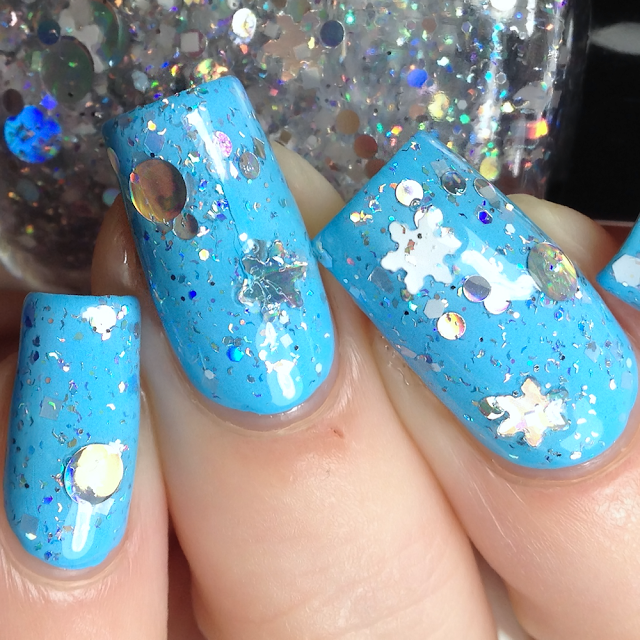 Fishing and placement needed for the snowflakes and large circle glitters. 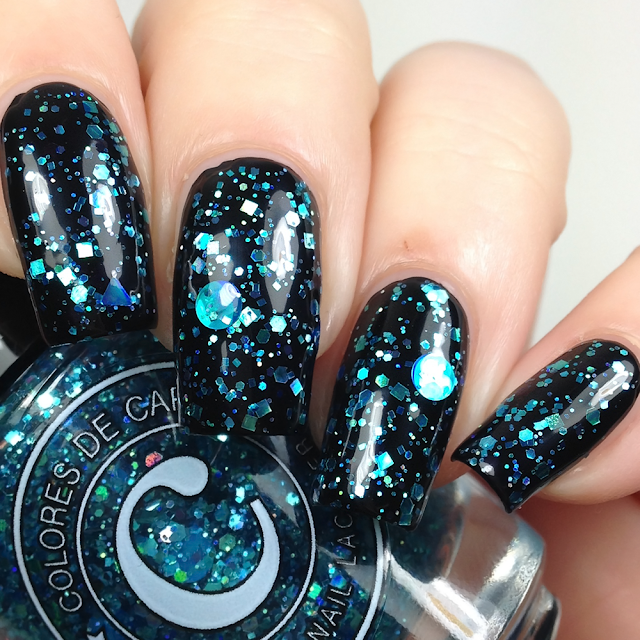 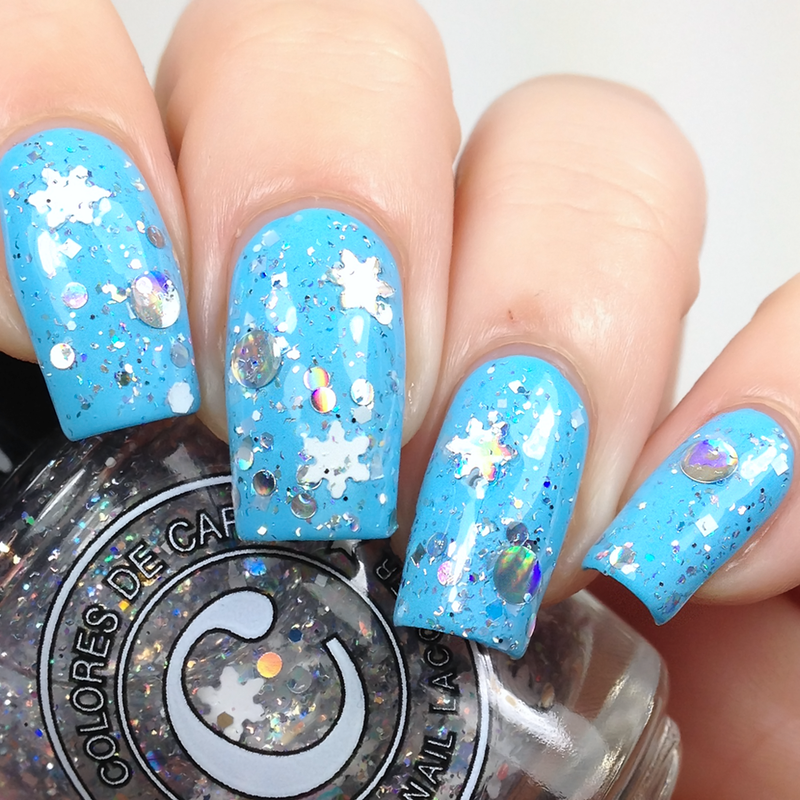 Described as a clear base packed with teal glitter in various shapes and sizes. 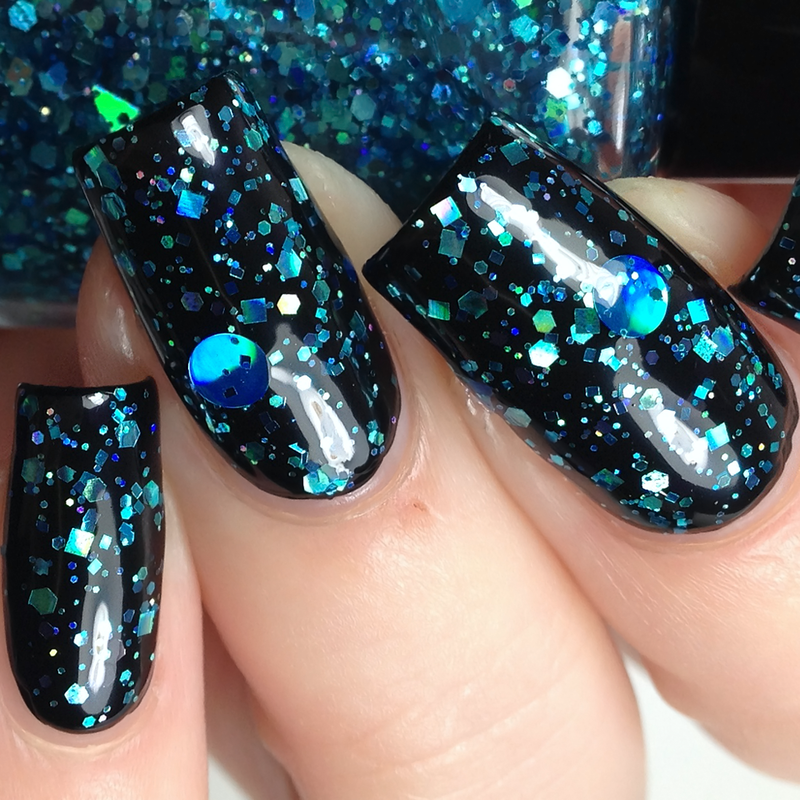 Shown here in 1 coat over a black plus top coat. 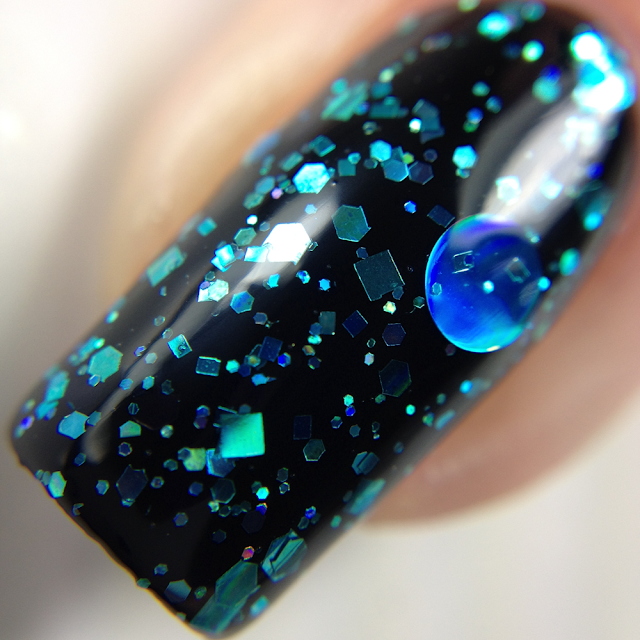 Described as a black jelly with Aurora shimmer and holographic micro flakes. 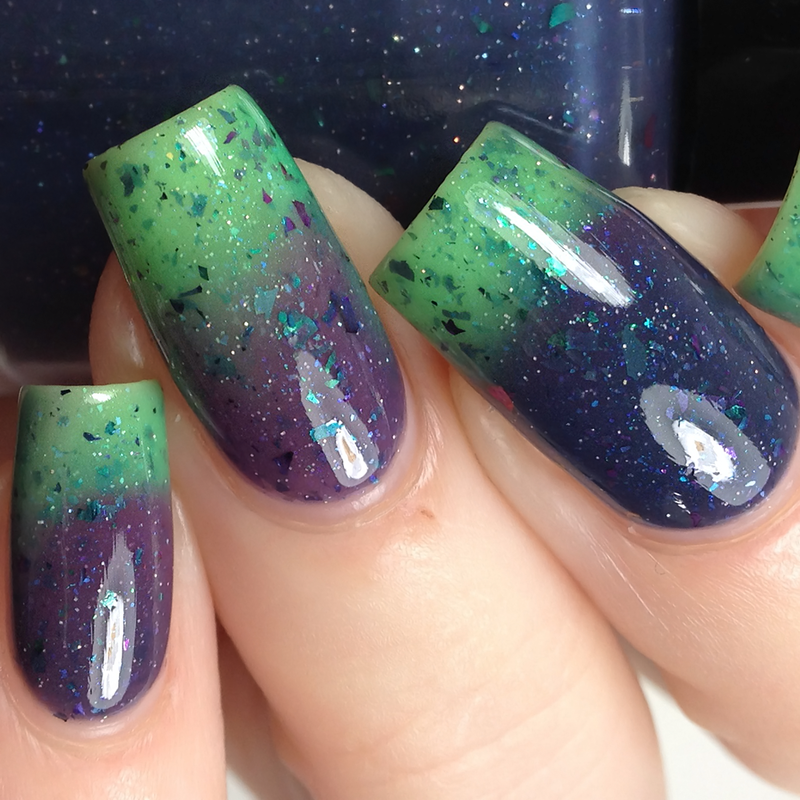 Described as a Teal/Purple/Green thermal with Aurora shimmer, micro holo glitter and UCC flakes. 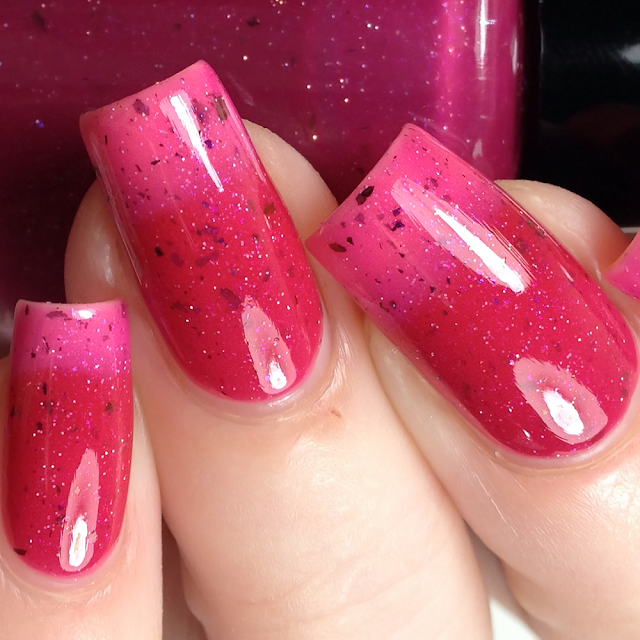 Described as a Magenta/Pink/Hot Pink thermal with Aurora shimmer, micro holo glitter and UCC flakes. 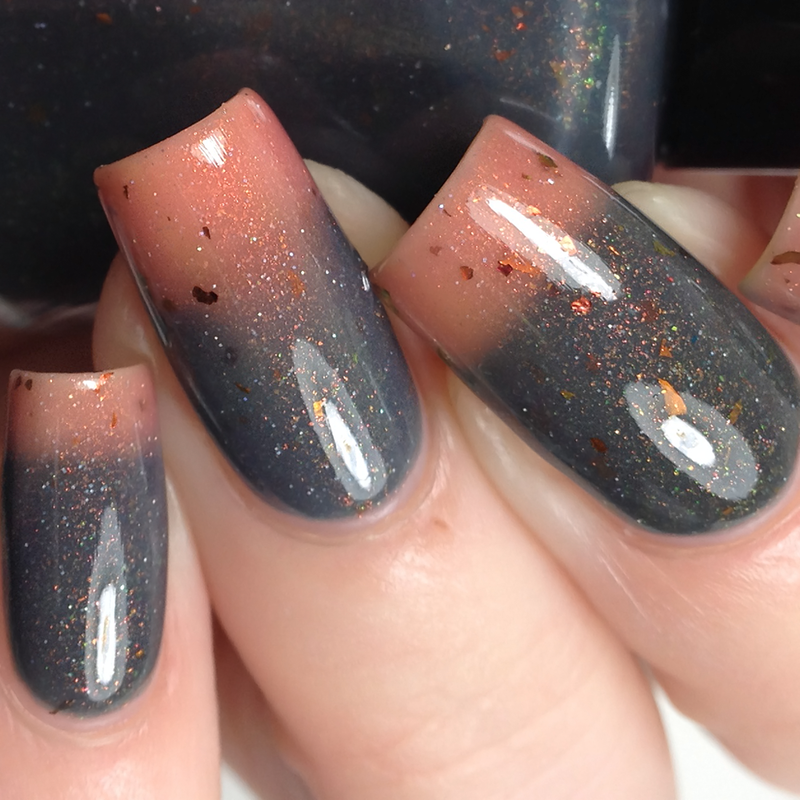 Described as a Dark Gray/Medium Gray/Mauve Pink thermal with Aurora shimmer, micro holo glitter and UCC flakes. Described as a Light purple/medium purple/dark purple thermal with Aurora shimmer, micro holo glitter and UCC flakes. Available Thursday Nov 22nd at midnight EST.